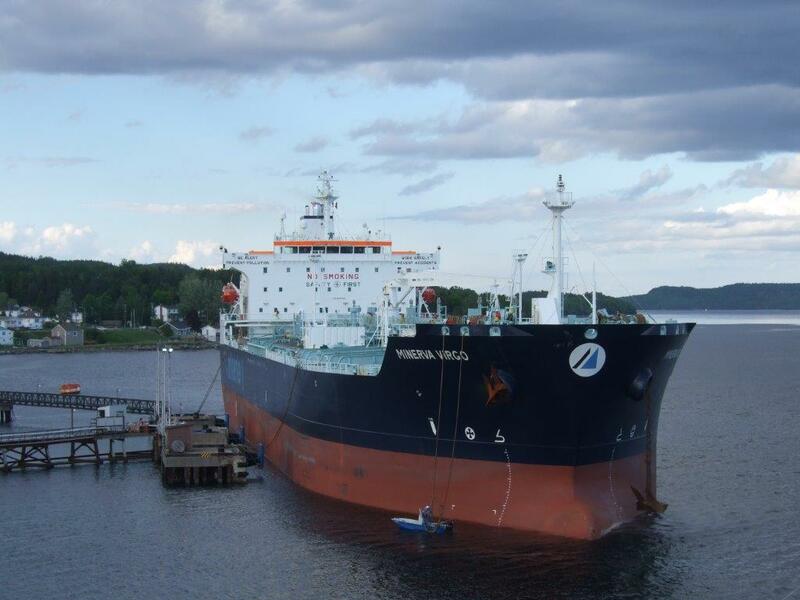 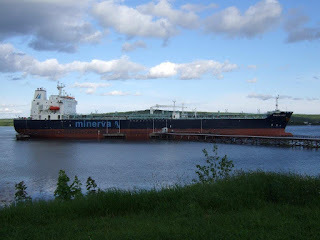 The Greek flagged Minerva Virgo made it the third big arrival for Woodwards Oil in Lewisporte. The ship was built in 2006, measuring 183 meters, and 28,960 gross tons. 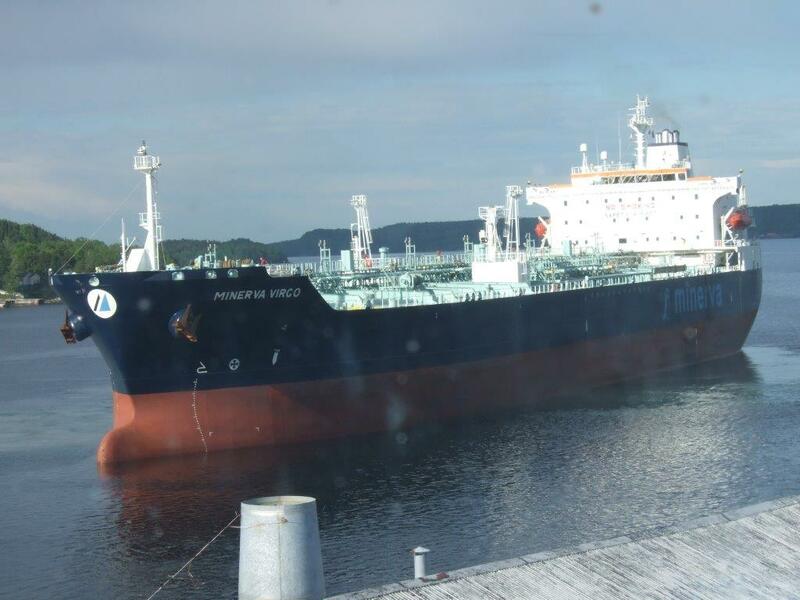 It offloaded some in Lewisporte and then headed to anchorage in Loon Bay.